Dental Congress 2019 : Vydya Health - Find Providers, Products. 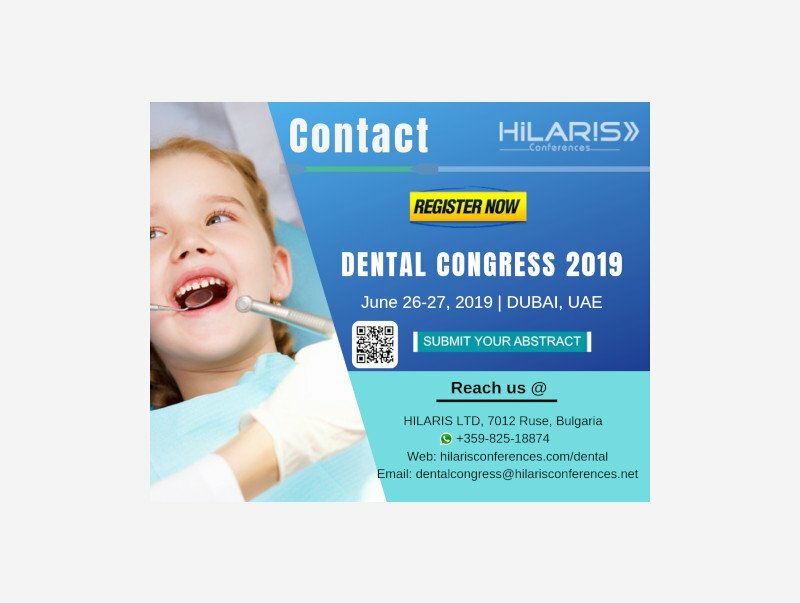 Hilaris Conferences welcomes you to the “Dental Congress 2019” scheduled during June 26-27, 2019 in Dubai, UAE with the Theme of “Experience the forefront progresses in Dentistry and Oral Health”. The conference will witness a union of eminent speaker’s experts from various fields of Dental and Oral health research disciplines and is definitely going to serve as a global platform for the discussion of advancement in the field of Dental Science, Oral health and Medicine and related to the field of Clinical and Medical advancements in dentistry.